The 21st floor of One Government Center is about to get a little busier. Toledo Sister Cities has maintained an office there for many years, but the space was largely neglected for the past several. The nonprofit is putting an end to that and beginning to staff the office for three hours each day. Board members are volunteering their time from 1-4 p.m. to take Toledo Sister Cities to new heights. 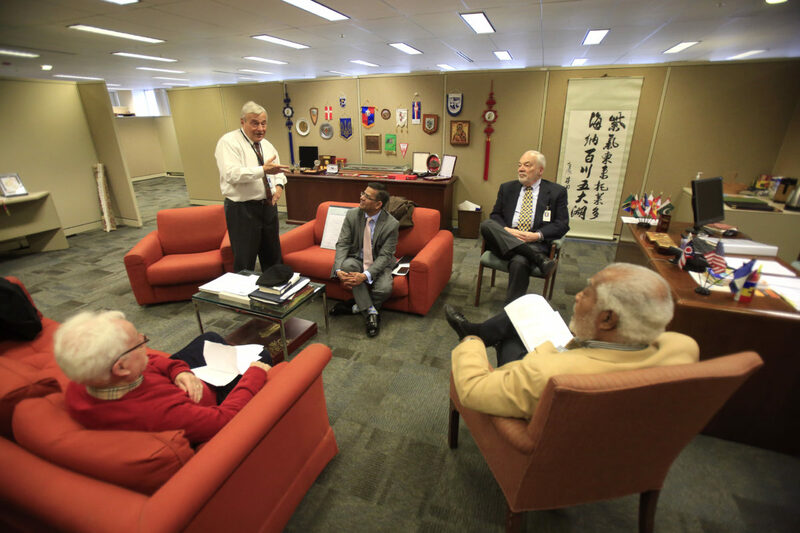 The group is part of Sister Cities International, comprised of 200 cities in the U.S. and 2,300 in the world. Municipal agreements are signed by the respective mayors interested in building bridges between their cities. The Toledo group has signed agreements with 10 cities, including Tanga, Tanzania. Toledo Sister Cities recently sent more than $100,000 in grant money to build a nursery for unwed mothers there. Board member Dr. Anwer Ali said partnerships can also lead to economic benefits for Toledo. Some work in the coming weeks and months will focus on the International Festival, one of the organization’s largest annual events. This year’s festival will be April 14 at SeaGate Convention Centre. Sister cities will set up booths, offer ethnic food, and perform music and dances. Mr. Hartung said four more cities have expressed interest in becoming sister cities with Toledo. Contact Jay Skebba at jskebba@theblade.com, 419-376-9414, or on Twitter @JaySkebbaBlade.